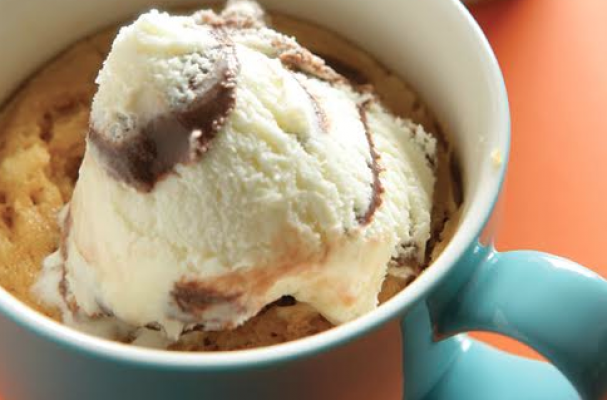 Best Mug Cakes Ever by Monica Sweeney share recipes for these speedy and satisfying desserts. This cookbook goes far beyond the standard two minute treats and includes recipes for raspberry cobbler cake, apple spice mug cake, Nutella mug cake, buttered rum cake, just to name a few. Once you taste one of these mug cakes, you'll be hard pressed to find a better collection of these quick and easy treats. Caramel is a ubiquitous flavor in many desserts and candied treats, and for good reason: The buttery, creamy caramel is perfectly complemented by the crunchy sea salt. And when swirled into a fudgy chocolate cake, it is divine. You can either use store-bought caramel sauce, or throw a few unwrapped caramel candies into a ramekin and microwave at 50 percent power for a minute or two to melt them. Mix the flour, sugar, and cocoa powder in a mug. Add the egg, milk, oil, and vanilla and stir until well combined. Swirl in the caramel sauce or melted caramel and sprinkle the top with sea salt. Microwave on high for 1 minute or until the top is just dry. 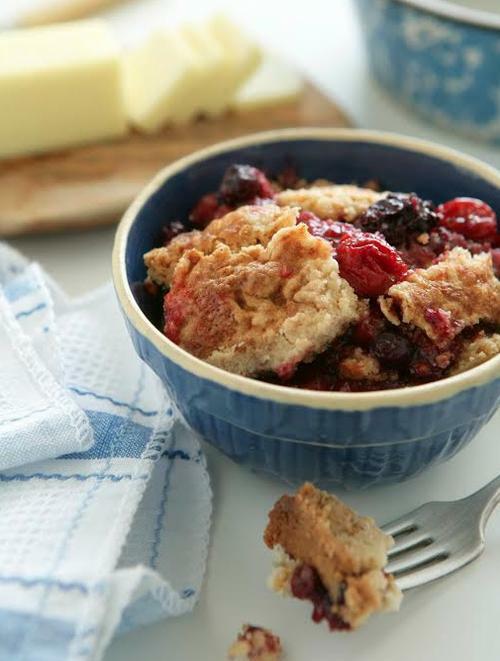 A bright and cheerful treat with the added bonus of lots of antioxidants from the berries! This cake combines pie filling with frozen berries for a fresh-tasting treat you can enjoy all year round. Preheat the oven to 350 degrees F. Grease a 9 x 13-inch pan. Spread the cherry pie filling on the bottom of the pan. Top with the mixed berries. Sprinkle the cake mix over the fruit. Evenly place the butter slices on top. Bake for 45 to 55 minutes or until the cake is golden and the fruit is bubbling. The butter and brown sugar in this combine to create a rich butterscotch flavor that pairs beautifully with the dark rum. Be sure to use unsalted butter, since the self-rising flour has salt in it already. For extra rum flavor, use rum extract in place of vanilla. Mix the flour, sugar, and nutmeg in a mug. Add the egg, rum, milk, butter, and vanilla and stir until well combined. Microwave on high for 1 minute or until the top is just dry.